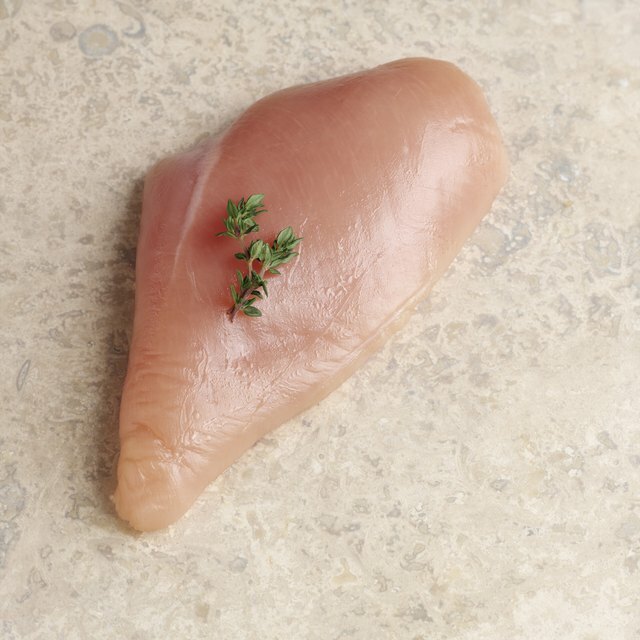 Do You Need to Rinse Boneless Chicken Breast Before Cooking? Food safety regulations updated in 2013 strongly advise against washing chicken before using it, as the harmful bacteria present on the surface of the meat are easily transferred to surrounding surfaces by even the tiniest splash of water. Promptly storing raw chicken breasts and cooking them to a safe internal temperature is your best assurance of destroying contaminants that may cause illness. Food safety guidelines instituted by the federal government's U.S. Department of Agriculture Food Safety and Inspection Service are designed to minimize foodborne illness. 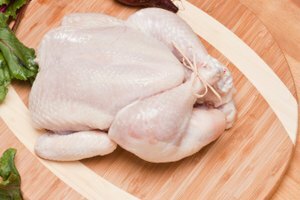 While it might seem that washing chicken is a good idea, notes the USDA, some bacteria cling so tightly to the chicken's surface that even the most vigorous washing cannot remove them. Any bacteria that you do manage to wash off quickly end up, not only on your hands, but on cutting boards, sinks, backsplashes and counters where they can be easily transferred to other foods. Until you are ready to actually cook or marinate the boneless chicken breasts, how you handle them can also make a difference in how many contaminants end up where you don't want them to. Try to make packages of chicken one of the last things you put in your cart at the supermarket, and keep them separate, if possible, from other groceries. Many grocery stores now offer tear-off rolls of plastic bags near the meat counter for that purpose, which helps create a barrier between the chicken packaging that may leak and the other items in your cart. At home, leave the chicken in its original packaging inside the extra plastic bag and store it in the coldest part of the refrigerator if you plan on using it within two days. If not, freeze it. Before opening a package of chicken, it's a good idea to line your work surface with waxed paper and use tongs to transfer the pieces to the bowl or baking pan. 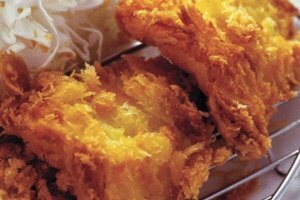 If the chicken is extra moist and you plan on using a rub or other seasonings, pat it dry carefully with paper towels and throw them in the trash. Cook the chicken thoroughly to an internal temperature of at least 160 degrees Fahrenheit, and use a meat thermometer inserted into the thickest part to test for doneness. Store thoroughly cooked leftover chicken in a tightly covered container in the coldest part of the refrigerator for up to four days. Once the chicken is in the oven, wash all cooking items, including mixing bowls, knives and utensils in plenty of hot, soapy water. Do the same for work surfaces, or use a solution of 2 to 3 tablespoons of household bleach diluted in 1 gallon of water. For maximum effect, wet surfaces down with bleach solution and allow them to air-dry. If you're working with other foods besides raw chicken, wash your hands often when you switch from handling one to the other, and use paper rather than cloth towels to dry your hands. 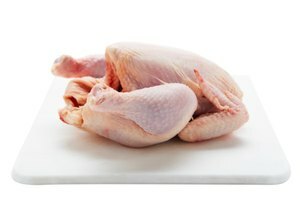 Real Simple: To Rinse Chicken or Not to Rinse Chicken? USDA Food Safety and Inspection Service: Washing Food: Does it Promote Food Safety?